With the imminent return of the mighty Raging Speedhorn back on Irish soil this weekend. 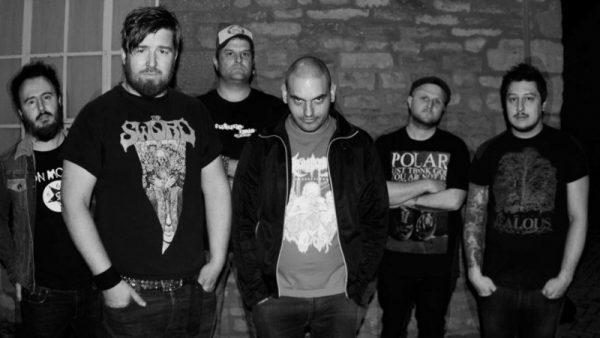 Overdrive managed to clear off the dust from this years Bloodstock festival and get back to our stack of album reviews. 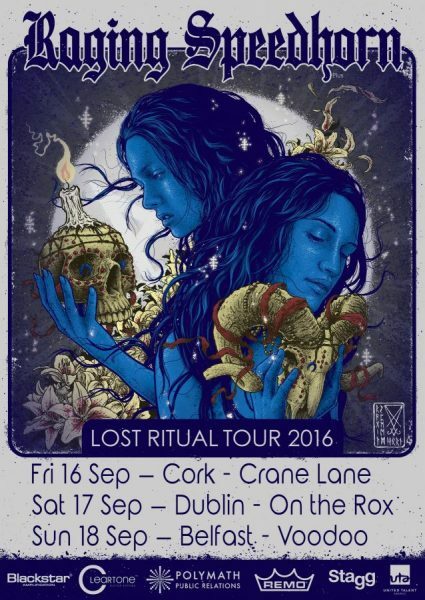 “Lost Ritual”, which was produced by Russ Russell (Napalm Death, Dimmu Borgir, The Wildhearts), is their first record with original vocalist Frank Regan since “How The Great Have Fallen” in 2005, the band’s first record since “Before The Sea Was Built” in 2008, and the first with their new line up. 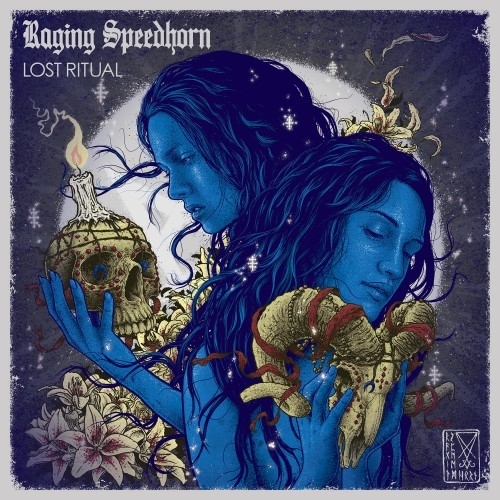 Raging Speedhorn’s new album Lost Ritual is a different take on their signature dirty tone in comparison to the breakthrough album Raging Speedhorn, and follow up record We Will Be Dead Tomorrow. It seems a lot more lively, a lot less doomy, but still slow and sludgy, especially songs like ‘Motorhead’, ‘Evil or Mental?’, and ‘Dogshit Blues’. These quicken the pace of the album full stop, but they do stay true to their sludge roots with ‘The Hangman’, ‘Comin’ Home’ and ‘Unleash The Serpent’. Speedhorn have never really been a band to write extensively long songs, and they really don’t have to, as their mesmeric riff-work, full-on audio assault (due to the downright guttural vocal teamwork of John Loughlin and Frank Regan), thumping bass lines, and crushing drums will give your neck a good work out regardless of where you are, be it at home, at work, or out walking (but you won’t walk listening to this album – you’ll sprint and knock people over deliberately). Albeit slightly different-sounding, this is a return to form for the sludge-core maestros after their 9 year gap in recording, Before the Sea was Built being their last offering before (supposedly) calling it quits in 2007 after their tour in Japan. The closing number ‘Unleash The Serpent’ is an evil sounding cataclysmic doom-laden masterpiece. Speedhorn, easily saving the best till last, can still deliver the groove, but I’m not sure how it would sound when played live. I imagine that a video that will accompany the song will be quite in-your-face and violent, but that’s Raging Speedhorn: in-your-face and violent. Lost Ritual follows the lead of its creators and does not disappoint in the slightest. Sludge-doomers rejoice! The Prodigal Sons have returned… and they’re collecting heads! 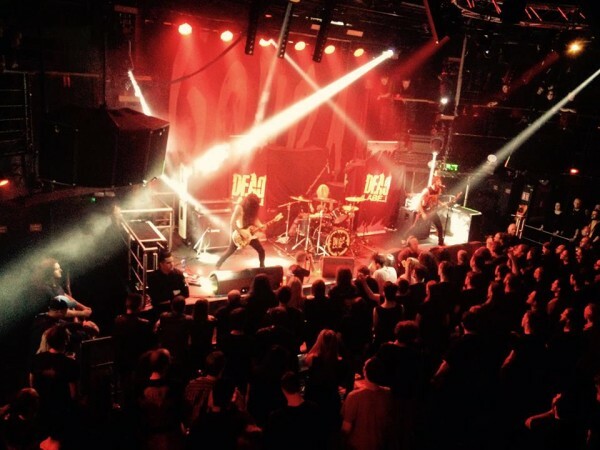 Raging Speedhorn will be playing a selection of Irish dates starting today with support from Dead Label and By Any Means. Get all the details on the links below.